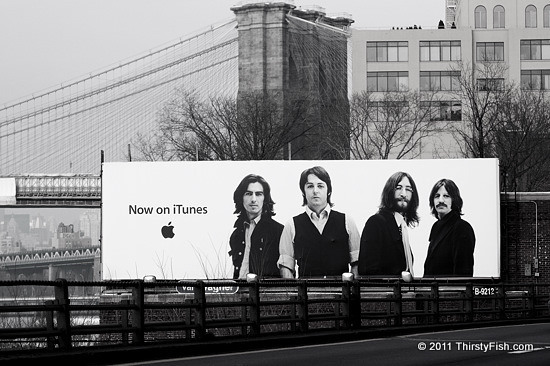 Even forty years after their breakup, The Beatles are relevant enough to take up major billboard space throughout New York City. The Beatles' music has been available on vinyl, 8 Track, cassette tape, CD, DVD, MP3 and now iTunes. They will continue to be substantial even on media formats we can not imagine today.